I just got back from a very bumpy ride and when I stopped I noticed my rear wheel had bent in badly . Has anyone here mounted a hub motor in a 29in rim and if so what rim did you uae. My second choice is a 26 in rim any suggestions for this size would also be appreciated. Also any info on good quality spokes would also be appreciated. OUch! 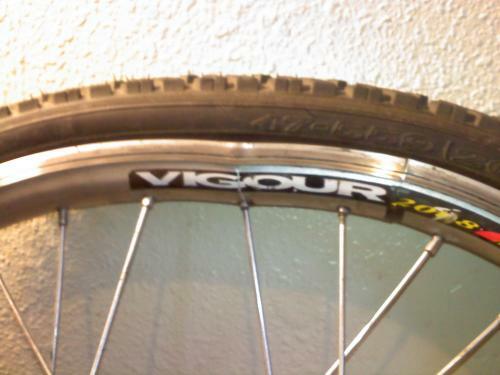 that has to hurt, but, as a recumbent rider, i've had good luck with Sun CR-18 rims on the back, RhynoLite are nice too. They have other models as well.